Business Intelligence & collaborative decision platform for the enterprise. Dashboards, 100% mobile with support for Dynamics ERP & other apps right out of the box. Analytics for Supply Chain Planning and Data Discovery. Enterprise scaled, rapidly implemented, data secured. Analyze, decide and plan faster than ever before. 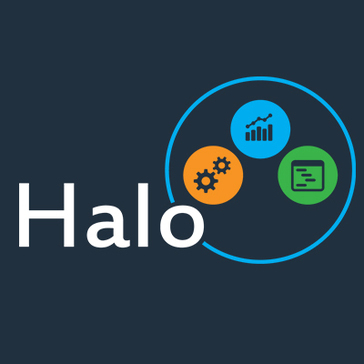 Headquartered in San Diego, California, Halo is an analytics software and advisory services provider which offers customers an innovative blend of technology to manage demand forecasts, inventory and supplier relationships. Halo’s Advanced Information Hub is a first-of-its kind solution to help companies leverage all their corporate data to generate new insight for competitive advantage. How do you position yourself against your competitors? Companies globally are now looking to supply chain performance to drive new growth as well as better margins. Halo specifically focuses on helping companies gain new insight into risk and opportunity through supplier, operations, and customer analytics. Halo Business Intelligence helps its customers be more profitable and successful by providing the tools and technology that help leverage the most valuable assets any organization has – its people. Hi there! Are you looking to implement a solution like Halo?